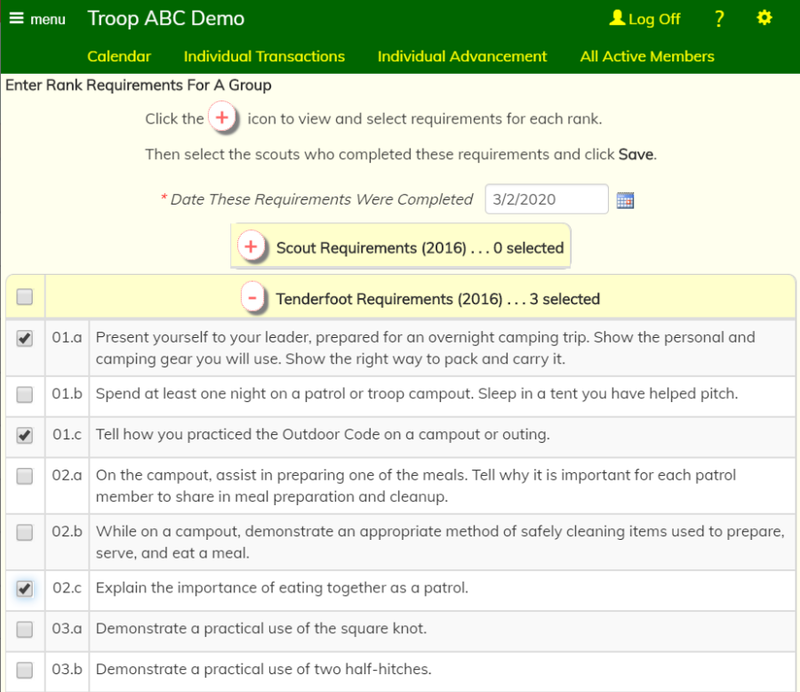 Many troops allocate time during their weekly meetings to completing rank advancement requirements, especially for younger scouts who are working their way up to First Class. 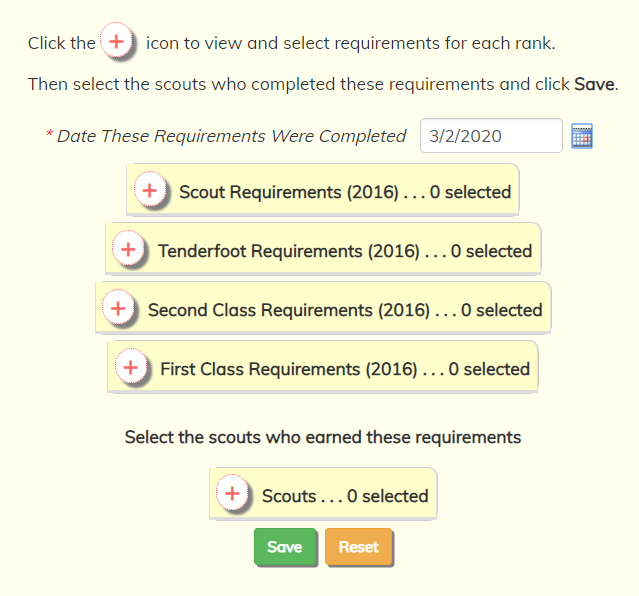 You can record these achievements for a group of scouts in one easy operation by going to Advancement → Maintain Advancement → Enter Rank Requirements For A Group. 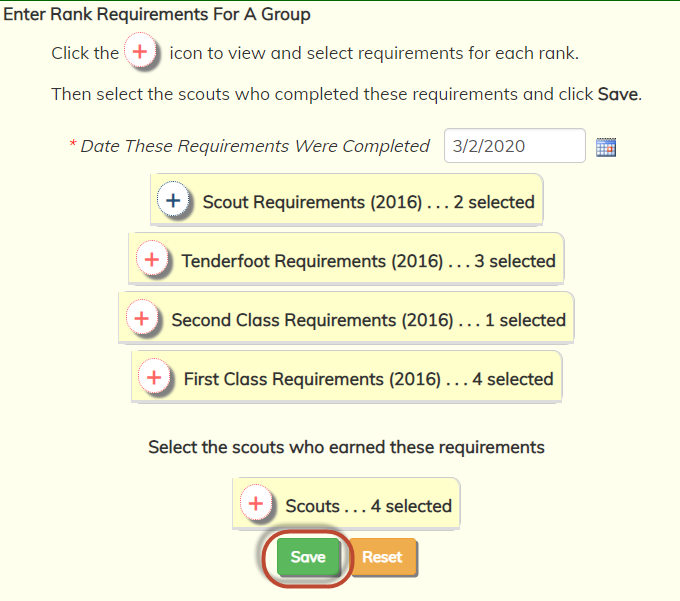 Then click the plus (+) sign next to any of the ranks to open up the requirements list for that rank. Select the requirements that you worked on and then click the minus (-) sign in the header row to close this section. Then open up another rank and select the requirements that were completed for that rank. It's OK to select requirements for both versions of a rank. 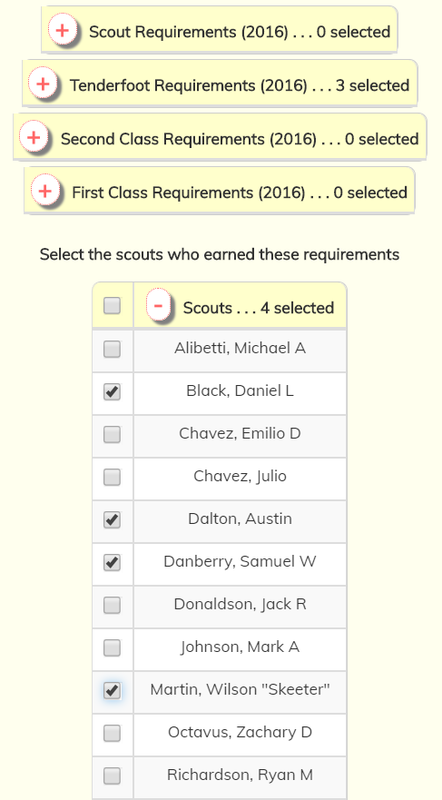 The system will ignore those requirements for scouts who are working on the other version. They are working on a different version of this rank.